In light of my 3-week procurement master course in December (Big Ticket Procurement Secrets), today I wanted to share some silent auction item ideas that work especially well for groups hosting fourth quarter auctions. If your fundraising auction is in October, November, or December, be sure to include holiday-related décor among your silent auction items. This past Saturday I worked in Louisville, KY for a nonprofit that had a large silent auction. 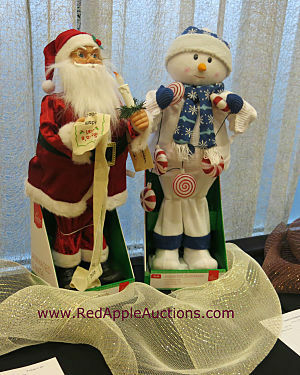 The holiday-specific items were some of the first items to receive bids. I’ve explained before why autumn benefit auctions have several advantages over spring auctions, and home decorating is just one of them. Playing up your seasonal auction by selling some seasonal items works well, and it’s a technique that spring auctions can’t match. 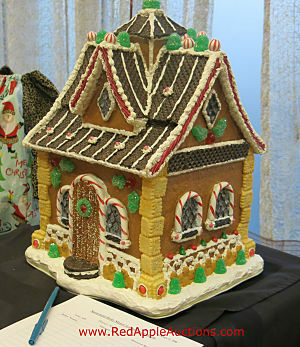 People love making their homes fit seasonal festivities, especially Halloween and Christmas holidays. Capitalize on that by selling items they can use. The photos in this article show a couple of items that were sold to fit the Christmas holidays, but depending on the date of your fourth-quarter auction, items for Halloween, Thanksgiving, or Christmas all sell. You can play up or play down religious items, depending on your crowd. Now frankly, although this content *is* useful, this type of information is fairly remedial. I’ll be tackling far meatier subjects in Big Ticket Procurement Secrets. Reserve a seat today! Doors for student registration close soon.